There are plenty of advantages to an early morning workout, including increased energy for the rest of your day and a reduced risk of something getting in the way of your exercise regimen. But with a morning workout comes the question of when to have your breakfast. Eating breakfast helps you manage your weight and meet your daily nutritional goals, so you shouldn't skip breakfast to work out, but you do have some flexibility when it comes to choosing whether to eat before or after your workout. Delaying breakfast until after you exercise can actually help you burn more fat during your morning workout. That's because keeping your insulin levels low while pumping up your adrenaline levels encourages your muscles to break down more fatty tissues than they normally would, explains Peter Hespel, a professor of exercise physiology at the University of Leuven in Belgium, in a June 2010 "USA Today" article. When your insulin levels are high -- as they are after you finish a meal -- the same amount of adrenaline breaks down less fat. On the other hand, skipping breakfast means you're not filling your nutritional tank before your workout, which can mean you're exercising with low blood sugar. 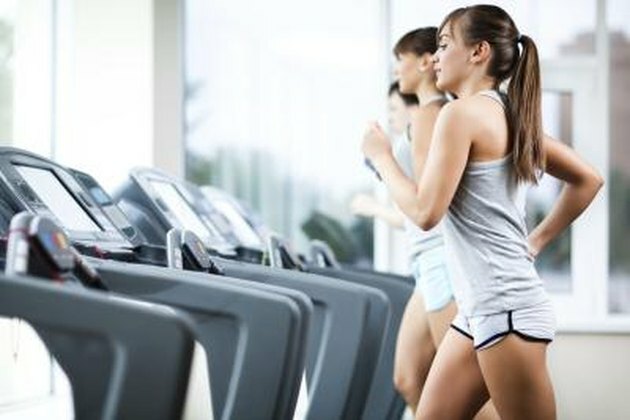 This can make you dizzy, lightheaded or more-than-normally fatigued during your workout. Food is fuel, explains Columbia University Health Services, and your body needs energy from food to perform well. If you decide to skip breakfast before your workout, don't do it every day; once a week is plenty to get the fat-burning benefits without sacrificing your performance, says Ron Maughan, a professor of sport, exercise and health sciences at Loughborough University in Britain, in the "USA Today" article. And if you don't eat before your workout, be sure to have breakfast afterward. Ideally, fuel back up within 15 to 60 minutes after your workout with a carbohydrate- and protein-rich breakfast, such as a bagel with lean turkey or toast with peanut butter and banana. If you find working out on a completely empty stomach uncomfortable, try splitting your meal into two parts and eating just a little before your workout, recommends Leslie Bonci, dietitian and director of sports nutrition at the University of Pittsburgh. Have a small yogurt, fruit smoothie or slice of fruit before your workout and a balanced mix of protein and carbohydrates when you're done.